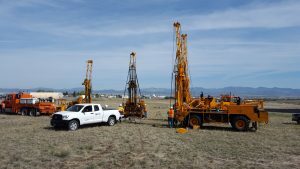 The standard penetration test (SPT) is one of the most widely used geotechnical tests used to estimate everything from soil strength to liquefaction potential. SPT energy calibrations performed by SK Geotechnical improves the reliability and accuracy of the standard penetration test, and helps identify hammers that are excessively worn or broken. 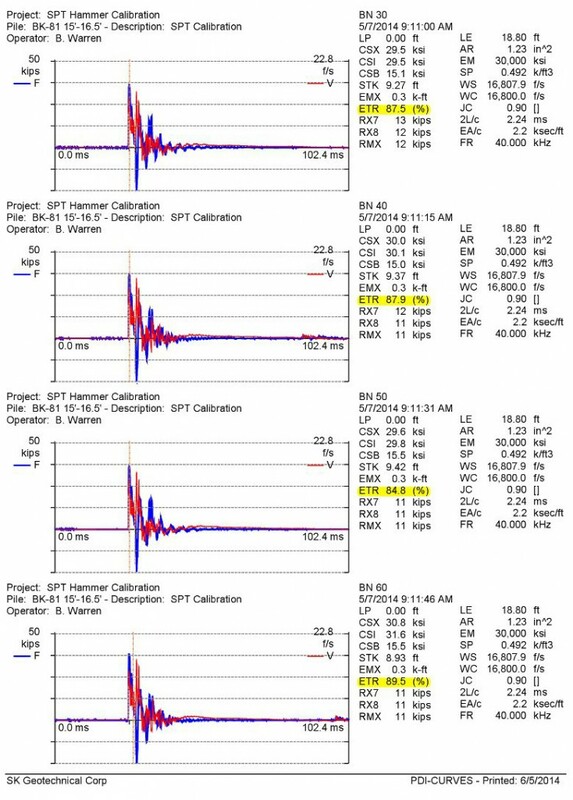 The SPT hammer calibrations provide more reliable SPT data to engineers and allow them to make better geotechnical decisions and develop more realistic solutions. Testing can be performed during a typical soil boring and at standard SPT intervals. Testing can be quickly completed by inserting an instrumented rod into the drill string just below the hammer and collecting data as the SPT values are obtained. The testing can be performed at most locations, and our engineer can travel to the client’s office or jobsite.